In this post, we’ll look at the MySQL 8.0 innodb_dedicated_server variable. MySQL 8.0 introduces a new variable called innodb_dedicated_server. When enabled, it auto tunes innodb_buffer_pool_size, innodb_log_file_size and innodb_flush_method at startup (if these variables are not explicitly defined in my.cnf). 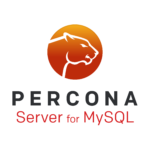 In this short blog post, I will show you how you can compare current and past time series in Percona Monitoring and Management (PMM). Recently, a support customer shared a graph with us that compared query throughput between today and yesterday as a confirmation that optimizing their server variables improved performance. In this blog, we’ll look at how to setup and troubleshoot the Percona PAM authentication plugin.